Do you ever look back on your life and regret past choices you’ve made which have kept you from achieving some of your dreams today? I know I do. I believe I have a healthy perspective on the situation, though. I don’t send myself on guilt trips or get depressed about it. However, I do have a sense of regret about money, time, and opportunities wasted. I think my biggest regret revolves around my relationship with money. Despite the many people in my life who encouraged me to systematically save money (starting with my parents, teachers, employers, and friends), I saved virtually nothing through my teenage, young adult, and early marriage years. I know money isn’t everything. But when it comes to living the lifestyle of your dreams, it sure does help. Because money buys you both time and opportunity. I graduated from high school 21 years ago. When I add up all the money that has passed through my hands since then, I’m flabbergasted. And when I calculate how much money I’d have if would have saved just 10% of my income each year for 21 years (aside from what I’ve saved for retirement), I’m amazed. That money could have fulfilled a lot of my dreams. It could have made some decisions easier. It could have opened up new doors of opportunity. But it didn’t, because I didn’t let it. What should you do when you feel regret for past lifestyle choices? I say let it be your guide, your motivation, to make things different from this point forward. I think you’ll find that bold action is the best medicine for regret. Whatever it is that you know you need to start (or stop) doing, resolve to do it today! “Because people told them they’d never amount to anything. They believed it and decided to never try.” Maybe it was a parent, teacher, sibling, friend or spouse. This illustrates the power of words. Despite the old saying re: “Sticks & Stones”, words CAN hurt us! “It’s got something to do with physics — an object at rest tends to stay at rest.” It takes a massive amount of energy to change. And let’s face it, most of us are very comfortable exactly as we are. “Discouragement…they give up after seeing the amount of work required to achieve it.” It is “cheaper” to stay the way they are than to pay the price to get where they want to be. “Distraction – the loss of focus/purpose and the lack of vision.” We get so easily distracted, don’t we? Yet if we want to achieve success…we need to stay focused on what we know we need to do to achieve it. “FEAR is a big one, I think – fear of change, fear of failure, etc. Also, an inability to picture oneself having achieved the goal.” These are two powerful insights. First, some people are afraid to fail. Others are afraid to succeed. In both cases, they’re afraid of what others might think. And many are afraid to take that first step – not knowing what will happen. And the point about picturing oneself achieving the goal is huge. This illustrates the power of visualization, of seeing ourselves, in our mind’s eye, being successful. “I think the obstacles can seem overwhelming…the focus is placed on the obstacles rather than the smaller steps needed to reach the dream.” This illustrates the importance of small steps…you don’t need to swallow the whole elephant at once, just take him a bite at a time! “We believe the lie that we aren’t good enough, or we are incapable, we fear change, success and the future, and we lack the courage, support and strength to hope to dream in the first place. It is only those who truly respond to the call/desire God has placed in them that ever see their dreams fulfilled – and usually much, much more!! !” Again, this speaks of believing in ourselves, taking action, being confident of our life purpose. What about you, my friend? 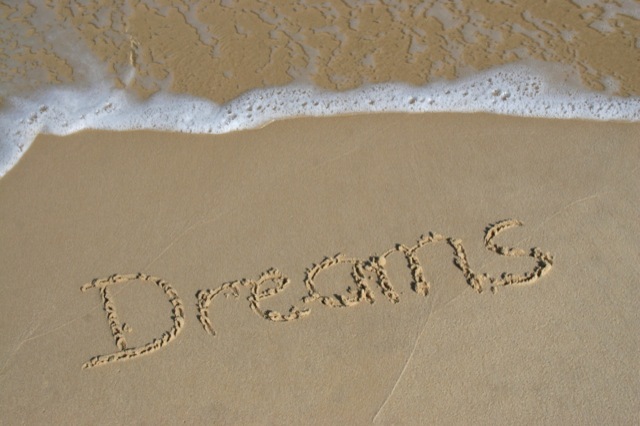 Are any of these reasons keeping you from achieving your dreams? Please share your thoughts – and your stories of success. I’d love to hear them! Today is my birthday. I’m a little bit older, a little more greyer…and hopefully a little more wiser. A birthday is a great time to spend with the people who matter most to you – your family and friends. I believe it is also a great day to spend a little time alone to do an annual life review. If you can’t do it on your actual birthday, plan another time within the week. Don’t let this opportunity slip away! Assess your current reality in your key life areas. Compare where you’re at today to the targets or benchmarks you previously set. Celebrate your progress or determine what mid-course corrections, if any, need to be made. It’s also a great day to look at your Master Dream List to see how you’re doing at achieving those dreams. Of course, you can also delete any dreams that aren’t so important to you anymore, or add new ones to the list. For extra credit, ask your family and friends for their opinion on how you’re doing. Ask them to share a way you’ve blessed or impacted their life in the last year. And ask them for a suggestion of something you ought to do in the next year – maybe it is something in your life that they think needs attention, or maybe it is a book they think would add value to your life, or some kind of experience. And take some time to express gratitude for your life. If you believe in the Creator as I do, then take the time to thank Him for giving you life, and ask for His help to live more on-purpose in the next year. If not, then find some other way to express your gratitude and your intention. Try it, and I think you’ll agree with me that there is power in the attitude of gratitude – on your birthday, or any day of the year. Hey, “What’s Your Dream?” You know, that one you where you were going to change the world. Or do the work you love. Are you taking bold action to achieve your dreams? If not, what’s stopping you? As you read yesterday, I’m sharing my Ten Pillars of Lifestyle Design over the next several days. Yesterday, I shared Pillar #1 – Start Your Master Dream List. Today I share Pillar #2 – Define Your Preferred Future. What is your Preferred Future? Quite simply, it is your dream life. If you could live any kind of lifestyle at all…if time and money were no object…what kind of lifestyle would you choose? I encourage you to get a piece of paper, or the computer, and project yourself one, three, five and 10 years into the future. How old are you? What is your life like? What is most important to you? How have your personal, family and career circumstances changed? What goals have you achieved? Be as realistic and objective as possible. This isn’t the time to dream that you can go from making $30,000 this year to making a million next year. I know people have done it…and I’d be the last person on earth to stop you from dreaming it and doing it. 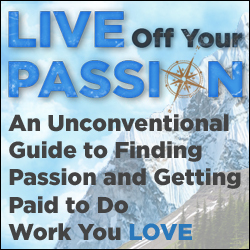 But one of the reasons many people fail at achieving their dream life is that they set unrealistic expectations, and they simply give up before long. The year is 2014 and I’m 42 years old. My family lives in a 4 bedroom home in the country, with a pool. We have a few horses and ATV’s which we ride on throughout our five acre property. My photography hobby now supports our family as a business. I sell my work through my website, at art shows, and a few retail locations. We’re able to travel as a family to interesting sites across the country where I want to shoot pictures. My spouse and I have a great relationship – we’re madly in love with each other. Our three kids are a blessing and I have a special relationship with each one. We now give away 14% of our income to causes we believe in (included in this is the 10% we give to our church). We are debt-free (including the house). The financial stress we used to feel is gone. Financial freedom feels WONDERFUL! Next, review what you wrote. What stands out to you? What things, from all that you’ve described, are most important and why? Lastly, ask “What changes do I need to make so that whatever I do is leading me to the realization of my future? That’s Pillar #2 – Define Your Preferred Future. Tomorrow we’ll cover Pillar #3 – Clarify Your Life Purpose.